2. The acrylic flower stand is used to put some flowers or cakes....ect. 3. This acrylic flower stand features Tiers display. 4. 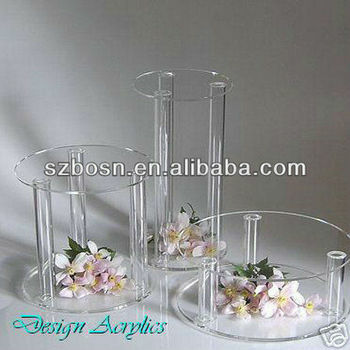 The acrylic flower stand can be designed with the size you want. 5. Logo printing service available. 6. Welcome to all inquires and orders.